You know that sprawling field north of the 10 Freeway in Ontario? Since the Reagan years it was set aside for a new, urban downtown with high-rise offices, restaurants, apartments and more. Now it’s being developed with warehouses. (This is why we can’t have nice things.) Wednesday’s column delves into the dream that was. Above, the view from Fourth Street, looking east. Chet Jaeger is a Claremont fixture, moving there as a boy in 1931. 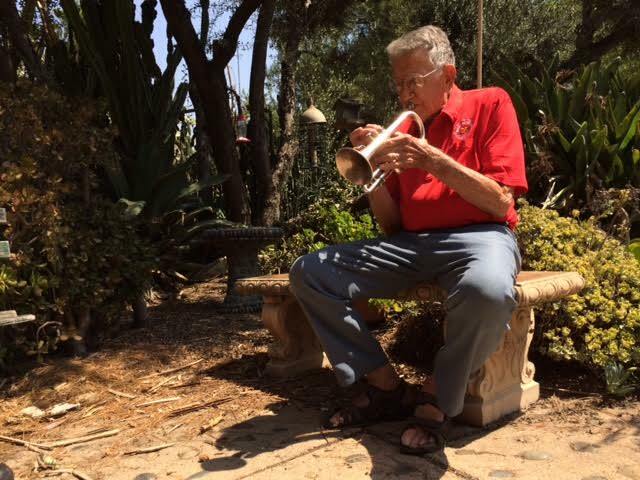 He’s also leader of the band Night Blooming Jazzmen, which is playing its annual concert at Memorial Park in Claremont on Monday. Sunday’s column profiles him and the band. Above, he blows a few notes for me in his yard. Be sure to watch the two videos attached to the column too. 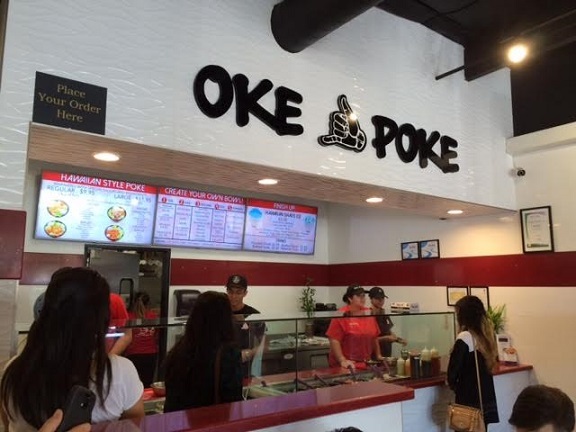 Poke, as the menu helpfully explains “is a classic Hawaiian dish comprised of sliced, raw fish and various mix-ins.” It’s becoming popular out our way, with several poke spots having opened in Rancho Cucamonga, for instance, and two in the works for Claremont, which currently has none. 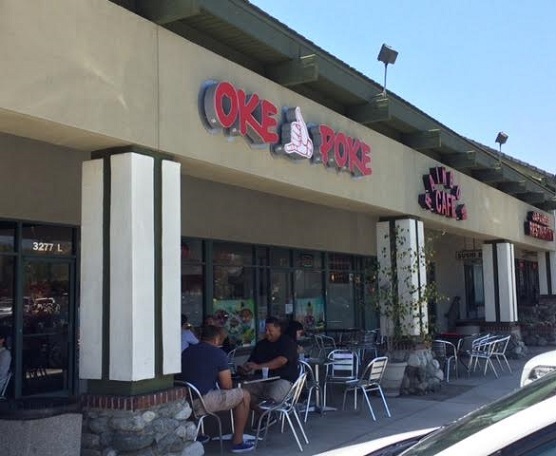 Oke Poke, pronounced like okey-dokey, is a chain with a location in Chino Hills in Payne Ranch Center across Peyton from the Shoppes. 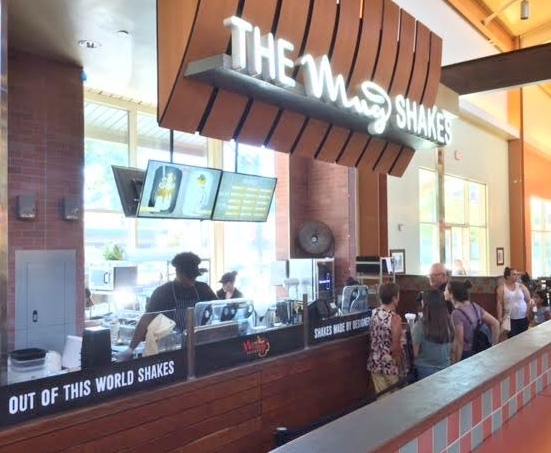 It opened in 2015. 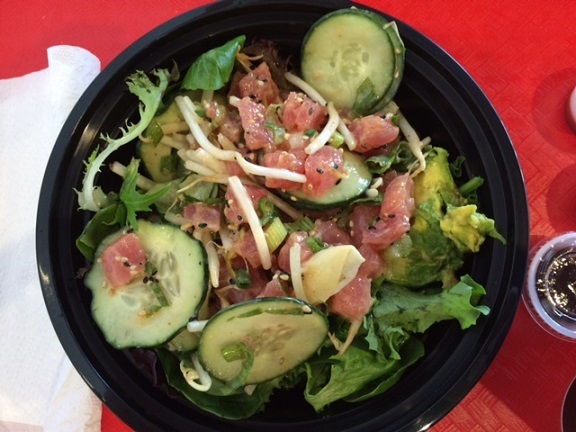 I met a CHills friend there for lunch recently for my second poke experience this summer (the other was in LA). 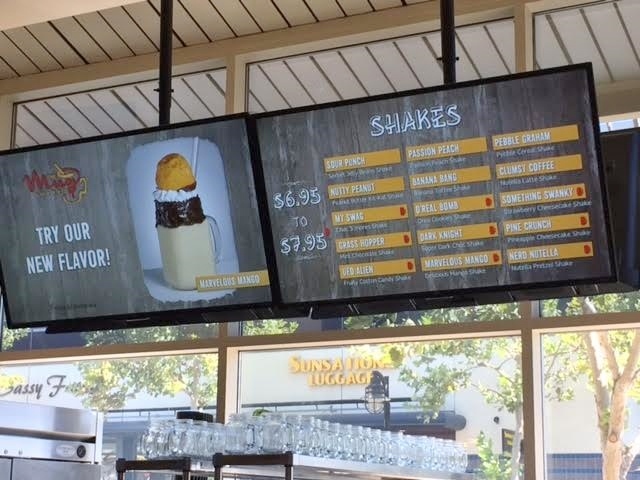 As with Chipotle or Pieology, you get in line and proceed to make a series of choices for your bowl: a size (regular $9, large $11), a base (white or brown rice, salad, noodles or cucumber), add-ons, fish (up to five selections for a large), sauce and toppings. Or you can save some brain cells and order a pre-selected bowl. 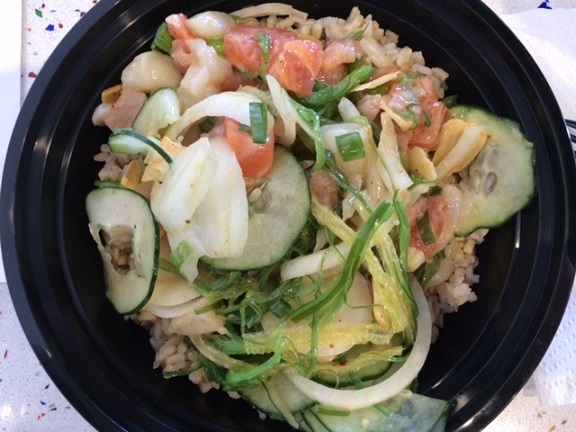 Bowls are all they have, except for miso soup and dessert. Note that all seafood options are the same price, a rarity, and that avocado is free, likewise. I got salmon, ahi tuna and scallops atop brown rice with moku seasoning, above; my friend had ahi atop a salad with sesame dressing, below. Both were regular sized. They were tasty, light but filling. 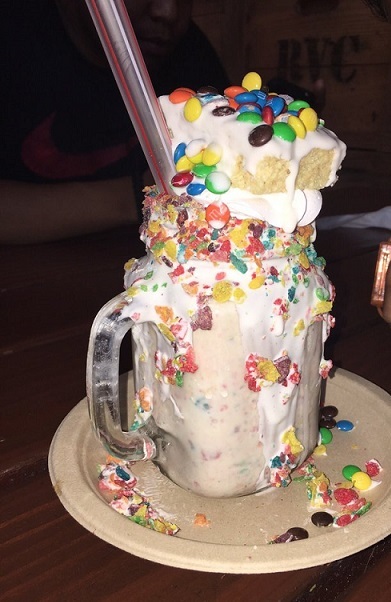 “I think that was a carb-free lunch,” my friend said with satisfaction. Then she pulled out her phone and played Pokemon Go for a minute (her daughter is hooked too) when a virtual creature appeared at the table next to ours. Yes, fittingly, the poke restaurant is a poke stop. I take a look at the local races on the Nov. 8 ballot and note the most interesting, starting with Ontario, where an awful lot of people want to be elected to something, including three members of the same family. That’s my Wednesday column. 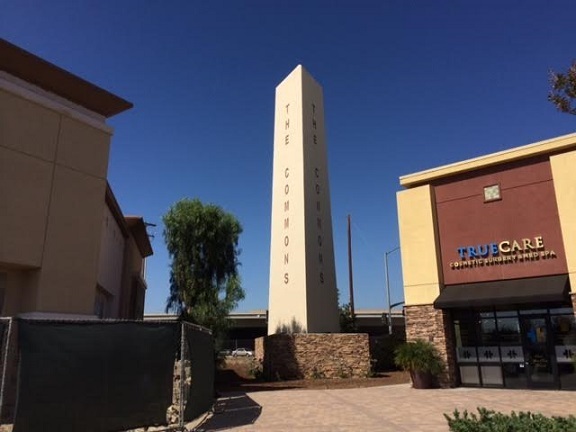 Magic Towers opened in Pomona (540 E. Foothill Blvd.) in 1968 and lasted until 1978. As you can see, it was built to be reminiscent of a castle, specifically Sleeping Beauty’s Castle from Disneyland, according to the owner, with four turrets. 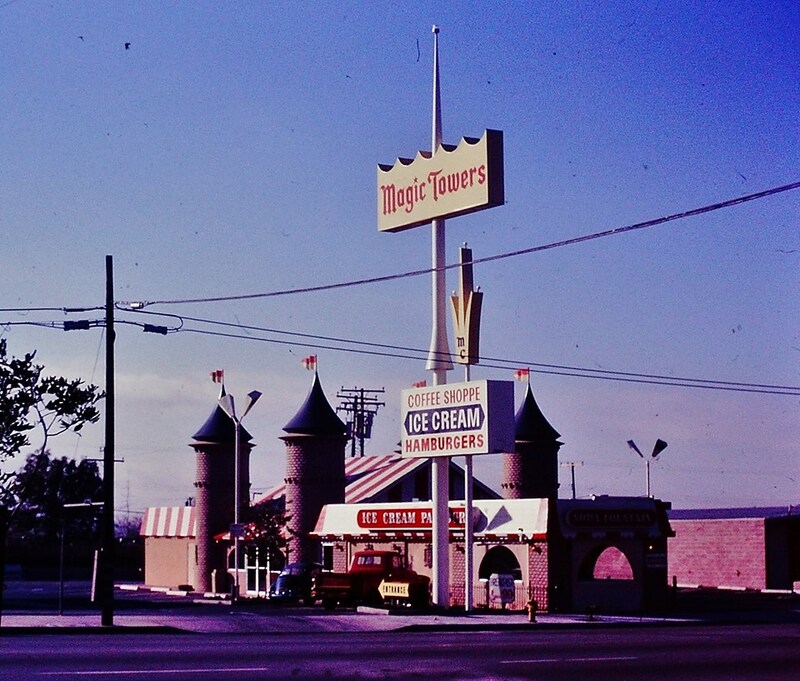 The castle was built in 1968, about the same time as another piece of roadside architecture, a restaurant a half-mile east in Claremont that resembles a fishing boat. Within two years, an addition made room for a diner and ice cream parlor, and the chef, “Monsieur Leonard,” had trained at the Waldorf Astoria, according to a Progress-Bulletin story. Owner Monte Radlovic had hoped to expand his empire to other cities and nations, but it’s unclear if any other Magic Towers were developed. 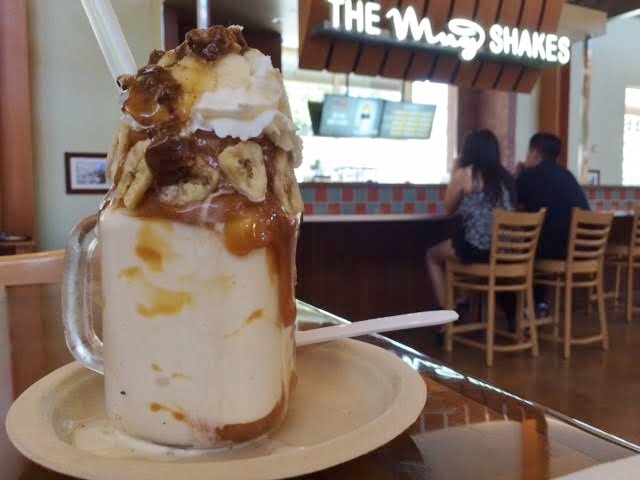 I’m giving the restaurant its own blog post because of this photo, turned up by picture maven Darin Kuna and posted recently on Facebook. How could I not share it in all its medieval glory! It shows the castle after the 1970 addition in front. In Friday’s column, an entertaining Chino City Council meeting — my favorite kind, although the tense ones are enjoyable in a different way — as well as some Culture Corner items and a Valley Vignette. I admit to immoderate pride over my headline. I visited two museum-type exhibits recently, one in downtown LA about the long-gone Claremont sculptor Burt Johnson, the other in Ontario about Route 66. Three Culture Corner items and a Valley Vignette round out Wednesday’s column.